Hospitality Staff to be replaced with Robots? Big Hospitality gives an interesting insight into the ways in which developments in technology will impact on the hospitality industry.. from more mechanical food production to robotic serving staff and everything in between! With the introduction of the new National Living Wage the retail and hospitality sectors will be particularly hit with increased staff costs and will be looking for ways to minimise the impact on what, for many, are already very close margins. Only 10 years ago it would have been hard to imagine being able to do your weekly supermarket shop without interacting with a single member of staff but thousands of us now do it every week. The hospitality industry may have some catching up to do but self service McDonald's kiosks are undoubtedly just the start of some pretty significant changes over the coming years. 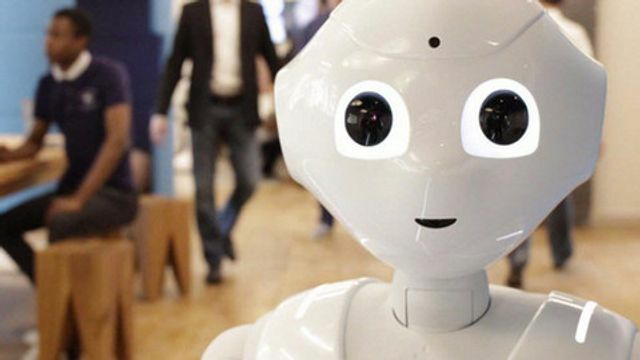 More impressively, over in Japan, Pizza Hut is trialling a robotic waiter called Pepper. If the promotional video is to be believed, the 3ft humanoid is extremely sophisticated, verbally interacting with diners in much the same way as a human being. It can even respond to questions about dietary requirements, giving info on calorie counts and fat content. It also features a facial recognition system designed to monitor its customers’ emotions.